Welcome Chenggan Zhu to join us! Congratulations to Chenxin Wu(Master) for graduating! 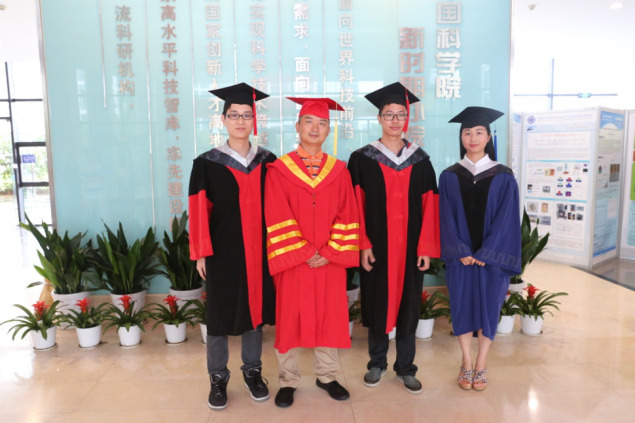 Congratulations to Kun Zhou(phD) for graduating! Chirality exists extensively in nature. Natural chiral molecules such as proteins and DNA only exhibit weak optical activities in the UV range. Chiral plasmonic nanomaterials have been a hot topic in current research because they offer an effective approach to achieve strong chiral optical responses in the visible spectral range, showing their potential applications in nanophotonics, biorecognition, ultrasensitive sensing, etc. Isotropic metallic building blocks have been utilized for the construction of chiral plasmonic nanostructures in many studies for a long time. Nevertheless, orientation-controlled arrangement of the anisotropic metallic nanoparticles is still a great difficulty. As a result, fabrication of precisely-controlled chiral plasmonic nanostructures containing anisotropic building blocks still remains an enormous challenge. 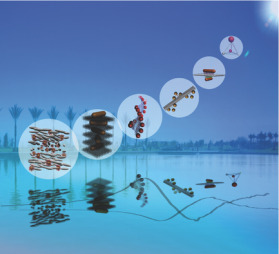 Recently, Prof. WANG Qiangbin’s Lab, at Suzhou Institute of Nano-tech and Nano-bionics, Chinese Academy of Sciences, has developed a series of chiral nanoassemblies with utilization of anisotropic plasmonic building blocks. Gold nanorod (AuNR), a typical anisotropic nanomaterial, was precisely self-assembled under the guidance of DNA origami, which has proved a significant DNA nanotechnology. Owing to their strong programmability and addressability, The DNA origami template has been a powerful tool to assemble the anisotropic AuNRs into the designed spatial configurations. On this basis, they obtained a set of 3D discrete AuNR dimers and AuNR helical superstructures with tunable chiroptical activities for the first time. Through experimental as well as theoretical studies, the intrinsic relationship between the spatial configurations of the nanostructures and their resulting chiroptical characteristics has been clearly revealed. These studies have been published in some famous journals (J. Am. Chem. Soc., 2013, 135, 11441-11444；J. Am. Chem. Soc., 2015, 137, 457-462； J. Am. Chem. Soc., 2016, 138, 1764-1767; ACS Photonics, 2015, 2, 392-397.). Furthermore, according to the current states and progress of self-assembly of chiral plasmonic nanostructures, they carefully classified the existing nanoarchitectures into three types: chiral arrangement of isotropic building blocks, chiral arrangement of anisotropic building blocks and chiral-molecule-metallic nanostructure hybrid complexes. Their fabrication process and chiroptical mechanism were systematically analyzed and their future perspectives were also discussed. This review has recently been published in Advanced Materials; DOI: 10.1002/adma.201600697. This work was supported by The National Science Fund for Distinguished Young Scholars. Figure 1. Precisely-controlled self-assembly of chiral plasmonic nanoarchitectures. Congratulations to Xiang Lan(phD) for graduating! 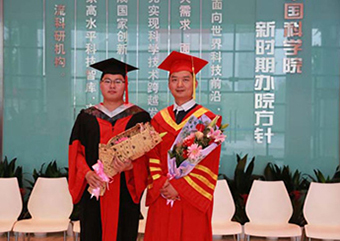 In August 2014, Qiangbin Wang’s project was supported by the national science foundation for distinguished young scholars, Congratulations! 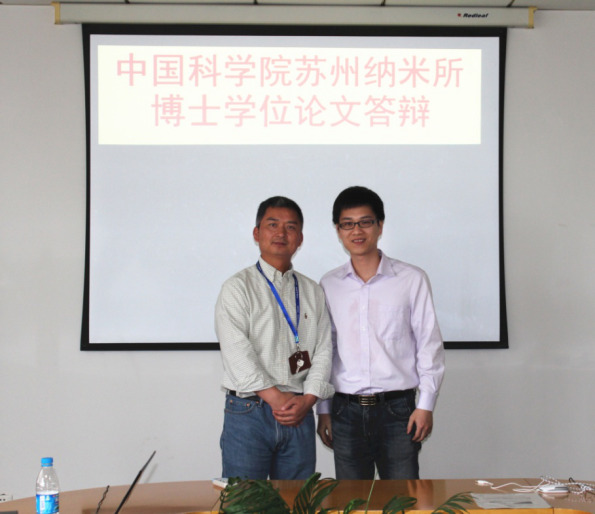 In August 2015, Yejun Zhang’s project was supported by National Natural Science Foundation of China, Congratulations!